Almost three quarters (71 per cent) of finance professionals support the government’s decision to delay Brexit, believing we are not ready to leave, according to the latest #BigQuestion research from Reed Finance. From a poll of nearly 500 finance professionals across sectors for its #BigQuestion, Reed Finance found that businesses do not feel that the UK is ready to leave the EU. Of those asked, the majority (80 per cent) believe the government has done a bad job of Brexit, making it an unnecessarily difficult process, with 67 per cent saying they feel that their organisation hasn’t received enough advice or support from the government. However, finance professionals clearly have their own ideas about what their organisations need from an exit deal. For 44 per cent getting access to the EU market is the biggest issue about leaving the Union with 70 per cent wanting a close relationship with the EU when we leave. 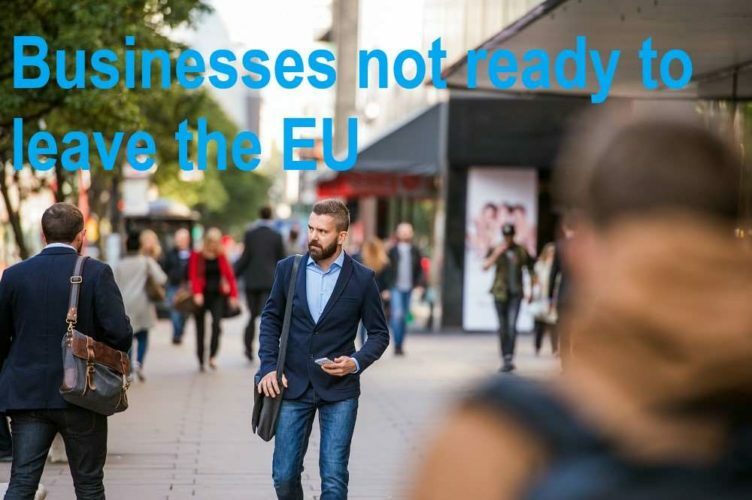 Additionally, for the 32 per cent of those asked that singled out getting access to EU workers as the biggest issue for their organisation, it will be encouraging that more than half (56 per cent) say their company hasn’t had any more difficulty retaining EU workers as a result of the referendum decision. Rob Russell, Director of Reed Finance, says: “These findings show that businesses are paying very close attention to the outcome of the recent EU debates going on in Westminster. Whether they wanted to leave the EU or not, finance professionals know what they want and need when the UK is outside of the Union – they are simply looking to the government for clarity on how they go about engineering that. As government negotiations on a final deal are ongoing, some businesses have even prepared for the possibility of a ‘no-deal’ Brexit. While only nine per cent say they have prepared extensively for no-deal, more than a third (37 per cent) have done a little preparation. However, 46 per cent have done none at all. Rob Russell continues: “Even as no-deal looked less likely, and has now been taken off the table, businesses tried to prepare as best they could for all eventualities. This shows the resilient nature of UK business and their determination to create companies that are flexible and protected. This level of preparation can only be a good thing for both employees and the UK economy.